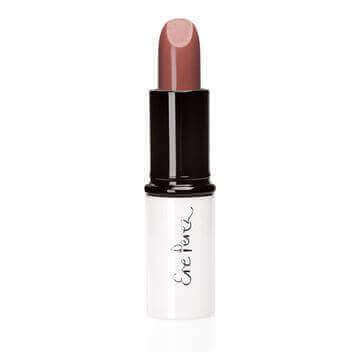 A lovely warm bronzy-brown natural lipstick. Formulated with healthy olive oil that conditions and hydrates, this shade is fabulous on darker skins. Colour up and give your lips a sultry boost. Olive Oil, Castor (Ricinus Communis) Oil, Candelilla (Euphorbia Cerifera) Wax, Carnauba (Copernicia Cerifera) Wax, Beeswax, Tridecyl Trimellitate, Tocopherol (Vitamin E), Ozokerite, CI 15850 / D&C red No 6 / litholrubin BL, CI 15850 1 / D&C red No 7 / litholrubin BK, CI 77891 Titanium Dioxide, CI 42090 / FD&C blue 1, CI 45410:1 / D&C red 27.